From the Department of Neurology (Y.Y.M.W., C.L.d.M., R.M.v.d.V.d.V., E.D.v.P., I.A.K., R.Q.H. ), MS Centre ErasMS, Erasmus MC, Rotterdam, The Netherlands; and Department of Pediatric Neurology (C.E.C.-B., R.F.N. ), Erasmus MC, Rotterdam, The Netherlands. 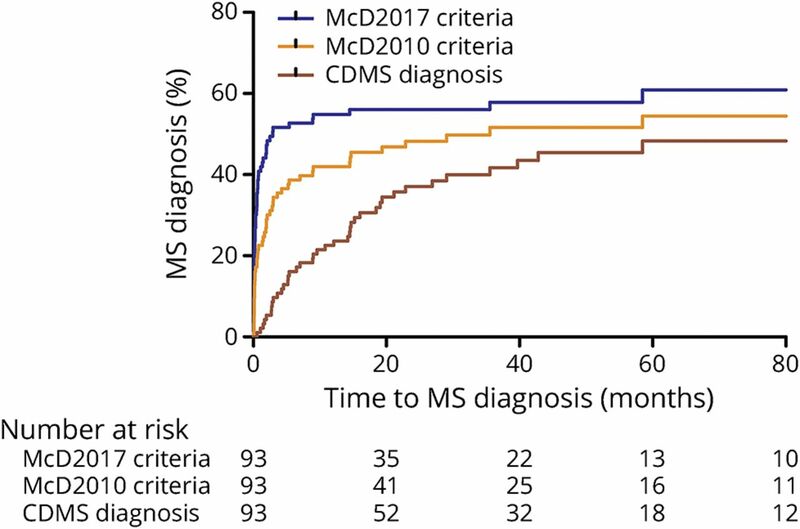 Survival curves for time from incident ADS event to MS diagnosis according to the McDonald 2010 criteria (at baseline), McDonald 2017 criteria (at baseline), and CDMS. 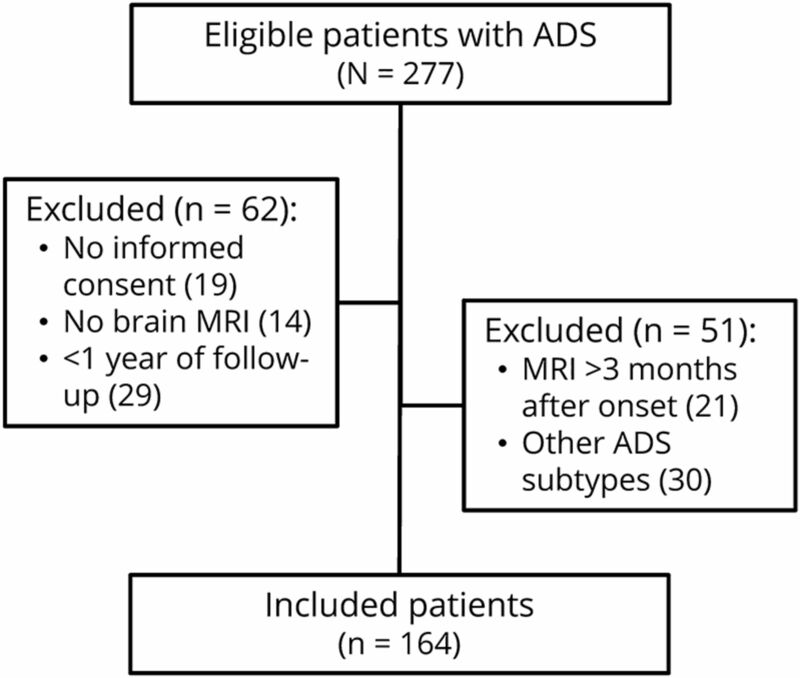 ADS = acquired demyelinating syndrome; CDMS = clinically definite multiple sclerosis.